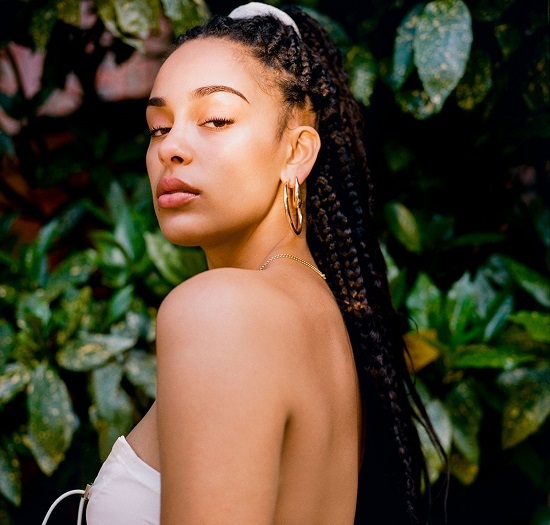 High-profile collaborations and soundtrack features have helped Jorja Smith become a familiar voice to many music lovers around the world. Not that she isn't perfectly capable of holding her own – her singles have been critically praised and she recently wrapped a sold-out U.S. tour. But she's not letting it go to her head, telling Billboard, "I’m not successful yet, I’ve got far to go. There’s always more to be done.” We suspect the release of her upcoming debut album Lost & Found will go a long way towards helping her reach that goal. Previous singles "Blue Lights," "Teenage Fantasy" and "Where Did I Go?" have already hit all the right notes with audiences, and now she's giving us another preview with her latest single, "February 3rd." Lyrically, "February 3rd" speaks of a relationship in trouble, with Jorja lamenting, "And Lord knows that love has taken toll / I've given all of my love to this broken home." But Ms. Smith isn't ready to give up just yet, pleading, "Why don't you lose yourself for me?" It's a pretty tempting offer, especially when presented as an infectious groove. Jorja's vocals are sweet and soft, like freshly-spun cotton candy while a Fender Rhodes shimmers in the background with dream-like chords. Additionally, the unhurried, boom-bap beat provides a head-nodding rhythm that's perfect for a laid-back afternoon. Lose yourself in "February 3rd" below, currently available for direct download when you pre-order Lost & Found ahead of its June 8th debut. By the way, for those of you who are speculating the significance of the song title, the explanation is surprisingly simple. Jorja recently revealed, "Wrote February 3rd on February 3rd 2017, kept the demo and never changed the file name." For more album insights, upcoming tour dates and more, visit her website or follow this exciting young talent on Twitter, Facebook and Instagram.